Hi everyone. 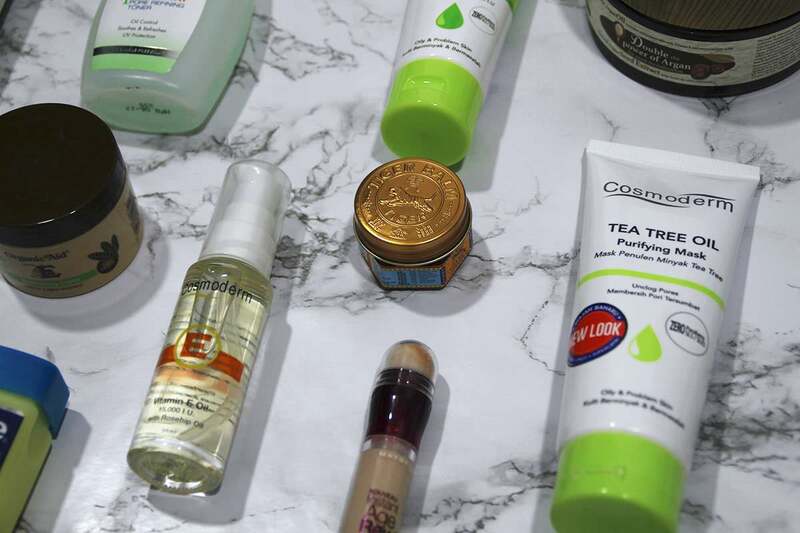 I am back with a drugstore haul of products that I am so excited to try! 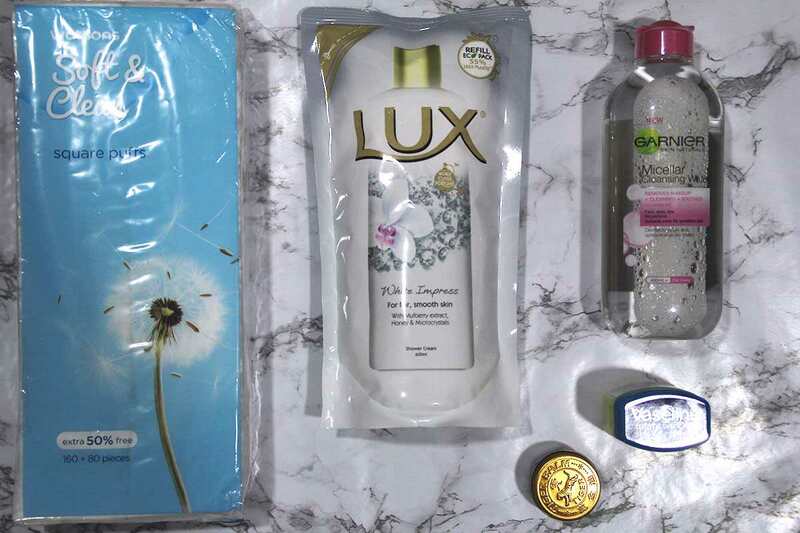 Last weekend, Watsons Sunway Pyramid had a sale and of course your home girl couldn’t resist and I just bought a bunch of products in my wish list focusing on skincare because my skin needed a new routine and this is the perfect time for changing my skincare regime. [pipdig_padded_text]I’m going to get these out of the way before I start with new products. This 3 packs (of course I’m only showing one) of Soft & Clean Square Puffs was RM11.90 and the best thing is I love it so much. You know how cotton pads tend to leave stringy bits on your skin after using toner/micellar water? Well this one didn’t leave as much bits as other brands so I’m really liking it so far. I’ve been wanting to try Shiseido Facial Cotton but the price tag though.. I went ahead and purchased a new refill of LUX White Impress Shower Gel as I’m running low on mine. LUX’s shower gels are my favourite and I have used the purple one I think it’s called Magical Spell for as long as I can remember. The Garnier Micellar Water was RM20 so I thought, why not, eh, although I still have months before I ran out of the one I’m currently using but it was on sale how could I resist. [pipdig_padded_text]The Rosken Skin Repair Dry Skin Cream was an impromptu purchase while I was queueing to pay for my stuff. I chose the one for Dry to Extra Dry Skin just because it’s much more hydrating and I could use a lil bit more of hydration especially on my legs. 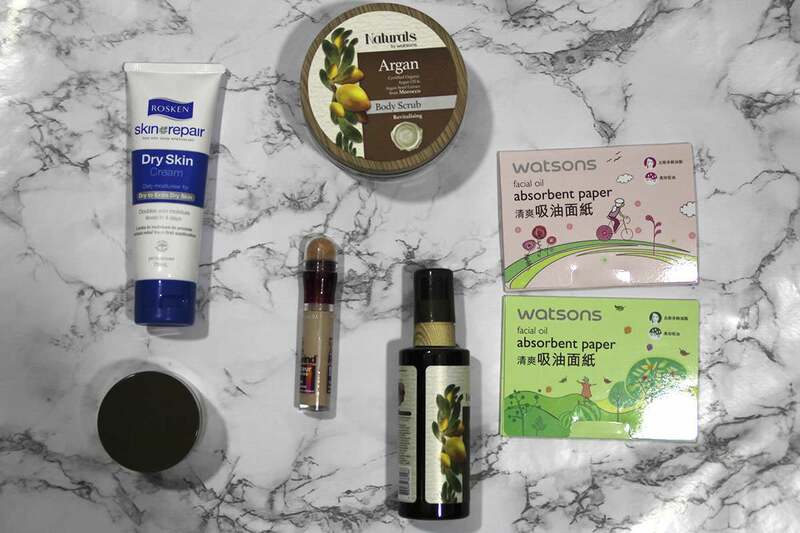 The Naturals Argan Body Scrub is Watsons’ own line of body skincare product and I also purchased the Naturals Argan Oil Hair Oil which I’m really loving for my hair so far. I have yet to try the body scrub, though. I repurchased Organic Aid Vitamin E Moisturizing Cream just because I love having it with me even though it is not my current moisturiser anymore. 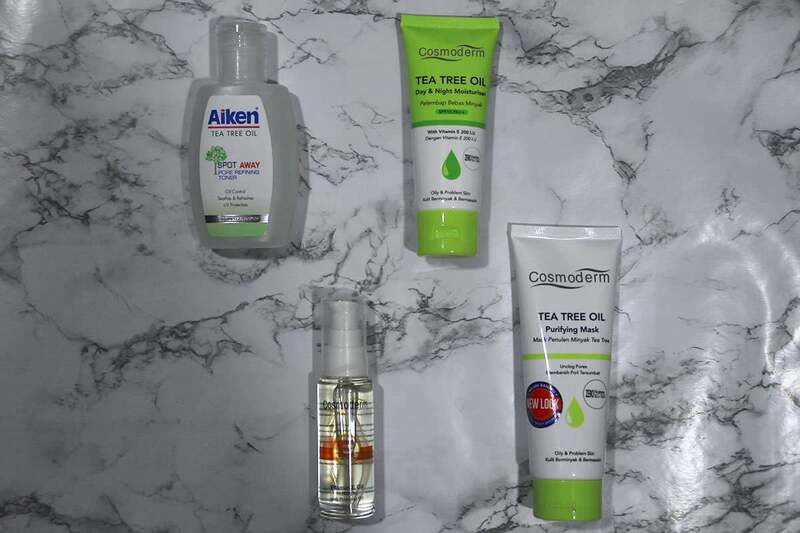 I had been using it religiously for 8 months and it did wonders to my acne scarring and marks. You won’t see a short term result on your scarring, though, but it’s a really good moisturiser if you’re suffering from dry skin. 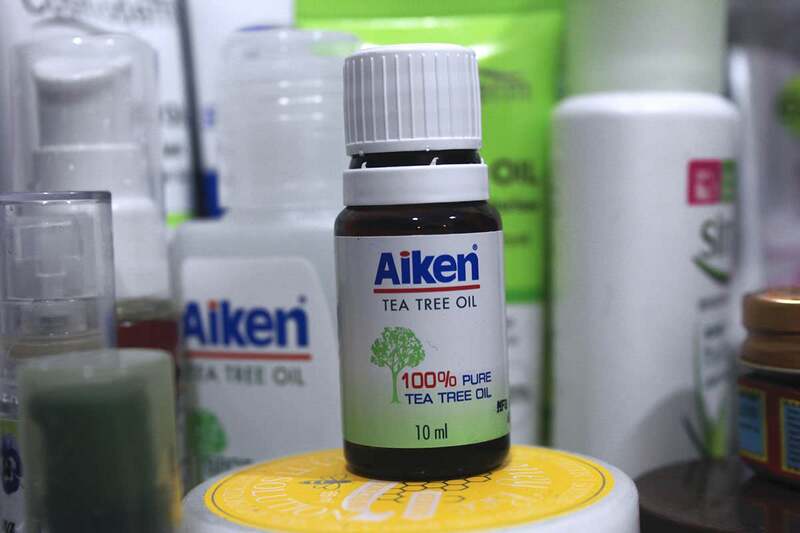 [pipdig_padded_text]A friend recommended the Aiken Tea Tree Oil Spot Away Pore Refining Toner as she herself is suffering from acne so I went ahead and bought one for myself. I got it a few weeks ago and I really like it so far. I wouldn’t recommend it to people with dry skin as it does contain a little bit of alcohol so it can make your dry skin worse. I wasn’t planning on buying the Cosmoderm Tea Tree Oil Day & Night Moisturizer but the sale assistant at AEON Wellness INSISTED that I go with this instead of the oil that I wanted because it’s allegedly better for my oily skin — not 100% agreeing with her but I do think that it’s a good moisturiser. The Cosmoderm Vitamin E Oil 15,000 I.U. with Rosehip Oil was the oil that I wanted to buy so when I saw that it was on sale for RM17 from RM40, I went nuts! Vitamin E oil is good for scarring and regenerating skin tissue and rosehip oil will make your skin glow. I’m so excited to incorporate this product into my skincare regime! 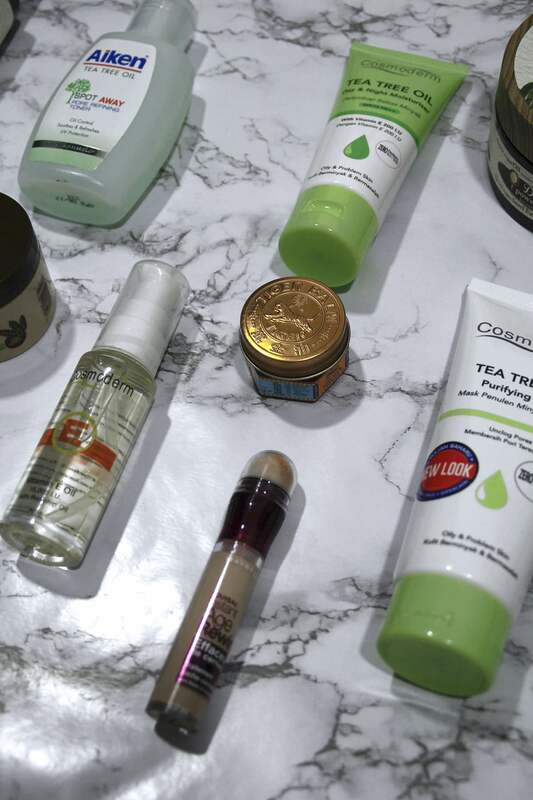 I hope you enjoyed this haul and let me know if you have tried any of these products! Hello blog, I’ve missed you. 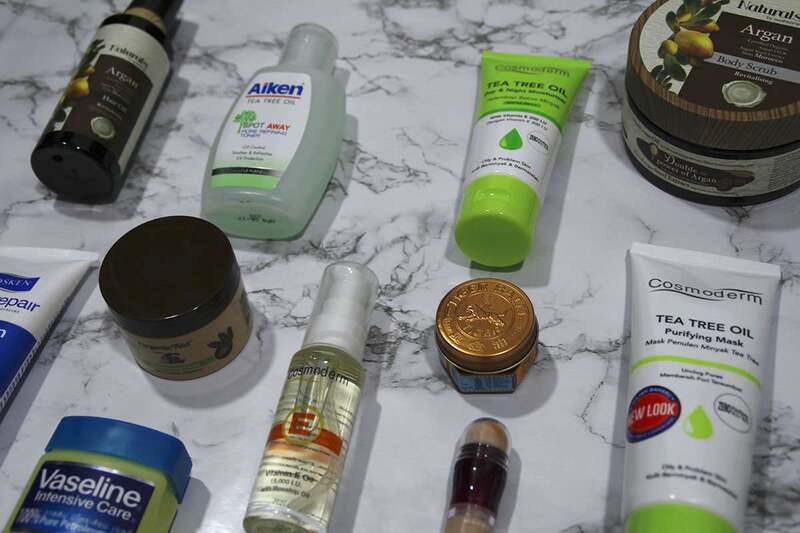 April Favourites | It’s been a long time!